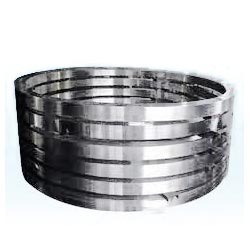 We are engaged in offering a wide range of Machine Ring to our most valued clients. These are manufactured using high quality raw of material. These are manufactured using quality raw material conforming to IS & BS standard specifications. To meet the requirements of clients, we also offer customization. We manufacture these rings in forged condition, pre-machined condition or finished condition in accordance with customer specifications and drawings. We are engaged in manufacturing and supplying a wide assortment of CNC Machined Rings. - Simple mechanism, easy to inspect and change the Flex Cone Rings without moving either Shaft or Hub of the couplings. - Simple design, Assembling and dismantling is very easy. We have expertise in manufacturing Numbering Machine that are used in various industrial applications. These machines are manufactured using the best grade raw material to offer caliber products to the customers. Our products meet international standards and provide excellent service while using them. We offer these products at highly effective price.